On 26/27 November at the World Trade Organisation (WTO) headquarters in Geneva Switzerland, over 10 country members of the WTO’s Committee for Agriculture supported the case presented in the counter notification lodged by Australian Trade Minister, Simon Birmingham. 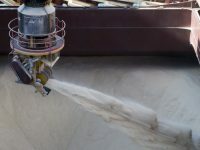 “Australia’s analysis painted a clear case against Indian subsidised sugar and therefore the counter notification received support from a range of other sugar producing countries” David Rynne Director of Economics, Policy and Trade at the Australian Sugar Milling Council (ASMC) explained. “As a signatory of the WTO and a developing country, India does enjoy certain entitlements” Mr Rynne added. “However, India should also expect to be challenged if it exceeds the allowable levels of aid it pays to its domestic sugar industry. “Rather than pursue lengthy and formal WTO dispute proceedings, our preference would now be for the Indian government to negotiate a satisfactory outcome with members of the WTO Agriculture Committee” Mr Rynne said. Committing to reform its sugar industry, including a move to a market-driven cane price and decoupled welfare payments for growers. ASMC is also calling on all WTO parties to restore global confidence in trade and liberalised markets by increasing the transparency of dispute processes and by holding countries to account using stricter disciplines when agreed rules are breached.